The Deluxe Memory Man's little brother has arrived! A smooth analog delay that takes its heritage from their 1970's Memory Man and the legendary Deluxe Memory Man. 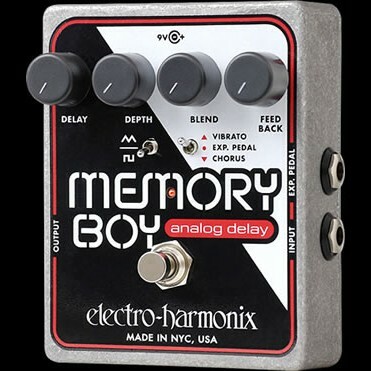 The Memory Boy used the Deluxe Memory Man as a base, expanding upon it with additional modulation features and an optional Expression Pedal input allowing external control over Delay Time or Modulation Rate.